A significantly different style, strongly American-influenced and designed to combat moves from Ford and Chrysler locally. The FB sported sloping rear glass, wraparound front screen, large-finned tail-light clusters, hooded front headlight surrounds. Interiors were restyled, with new dash, instruments, dished steering wheel, roomier layout, improved seating. The FB had the first acrylic paintwork, enlarged engine and upgraded brakes. 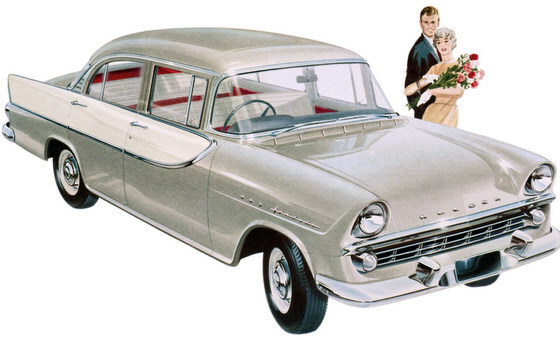 It was also the first left-hand drive export Holden. Base price when new: £1,107 ($2,214).